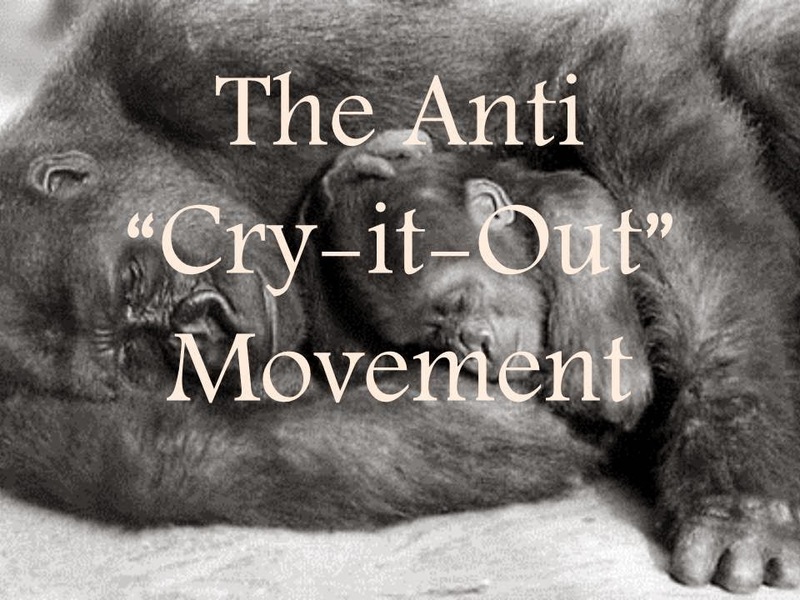 I have titled this post “The Anti “Cry it Out” Movement” because that is what I hope to achieve on some small level, someday. The inspiration to start this blog all stemmed from one, short article that my sister in law shared on Facebook titled Screaming to sleep, Part One: The moral imperative to end ‘cry it out’ . To summarize, it is a devastating portrayal of what an infant goes through during the sleep-training method titled “cry it out” (CIO for short). I could not even get through the first paragraph before I felt a wave of nausea. I felt sympathy so strong, that I literally had a physical response. This article continued to haunt me. I would be driving home and remember this article, and would feel sick to my stomach thinking of these babies. It was all I talked about to my husband when I would get home from work. I would bring it up in conversation whenever I could. Even today, I have to distract myself whenever this article pops in my head. I know what some of you are thinking, this reaction is a bit extreme. Call it surging hormones, first-time mom syndrome, or hell to get really scientific maybe it all boils down to the empathetic portion of my brain being stimulated by a chemical reaction after childbirth (pause: mind-blown). Regardless of how or why, it set off a chain reaction. This one article affected me SO much that I feel a moral obligation to do something about it. Hence, here I am typing away.